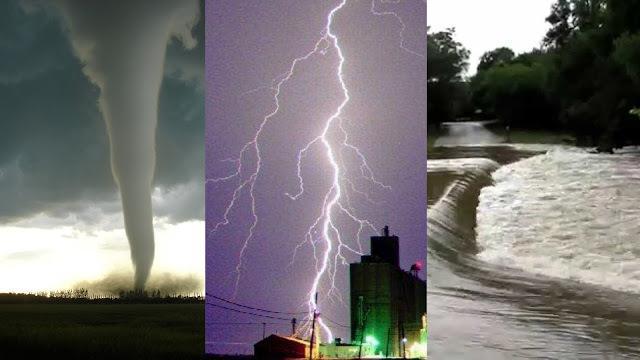 3 - Winners Holiday Contest and Sweeps along with a great group of Dedicated Co-Host's to bring you another Severe Weather event with Spring just right around the corner. And as we know with Spring comes Severe Weather. 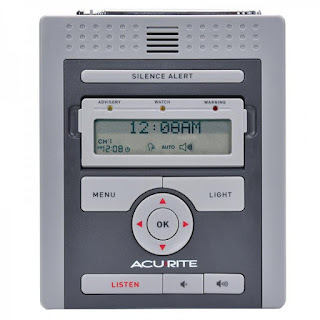 Acu-Rite has teamed up with us to help protect our readers with a NOAA Severe Weather Alert Radio Giveaway which will alert you of any Severe Weather Alerts from the National Weather Service in your area. Three lucky readers whom reside in the Continental United States and are 18+ years of age will have a chance to win one of these amazing radios. NOAA Severe Weather with S.A.M.E. Weather the day with confidence with your own up-to-date weather information and national weather alerts. 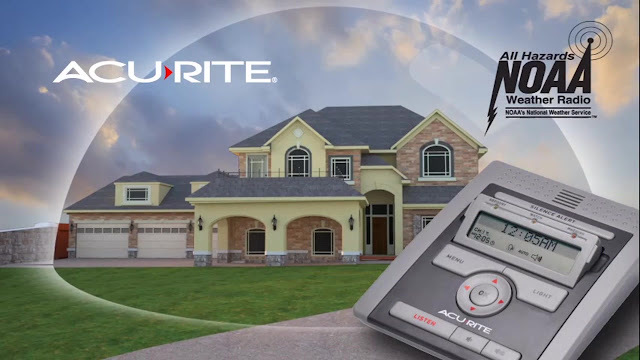 Tune in to emergency alerts, storm alerts, tornadoes, floods, disasters, amber alerts and public announcements with the AcuRite Emergency Weather Alert NOAA Radio. This handy radio is digitally tuned to NOAA Weather Radio (NWR), providing continuous weather information including warnings, watches, forecasts and all hazards 24 hours a day, 7 days a week. Sounds a loud alert siren when emergency conditions occur. Specific Area Message Encoding(S.A.M.E.) ensures you will only receive advisories, watches and warnings that are intended for your specific location. Warnings relevant to your local area scroll across the backlit LCD display and color-coded LED's indicate alert type. AC powered with automatic battery-powered backup during power outages. Setup is simple. Power on the radio and you are ready to receive emergency alerts - there are no subscription fees or other costs. It's more than accurate, it's AcuRite. 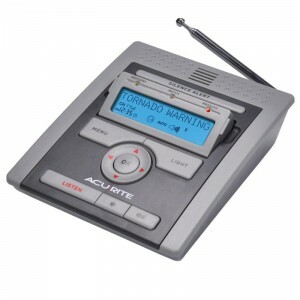 Radio Features: • Emergency weather radio with NOAA National Weather Service alerts for your location • Automatic notification: emergency, weather & public announcements • Responds to all hazards and warnings for NOAA / NWS / Dept. of Defense & Weatheradio Canada • Sounds a loud siren when emergency conditions occur • Listen button - hear local weather report at any time • Backlit LCD displays scrolling messages • Color-coded LED's indicate alert type • Multilingual display: English / Spanish / French • 50 mile signal scan receives 7 digitally tuned NOAA channels • S.A.M.E. technology ensures local info • Phase Lock Loop (PLL) digital tuning • Time & date with automatic Daylight Saving Time (DST) adjustment • Backlit display • Headphone / accessory jack • Volume controls • Low battery indicator • Battery operated or AC adapter powered Includes: Weather alert radio, AC power adapter, instruction manual Make Sure You Visit The Acu-Rite Website For More Weather Products To Keep You Safe At Great Prices, Use The Link Below! Holiday Contest and Sweeps received samples of the products shown for review purposes, no other compensation was received. Holiday Contest and Sweeps will be responsible for the shipping and awarding of the prizes to the winners.